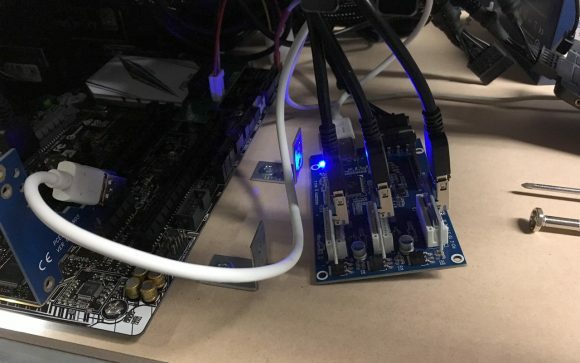 Miners willing to increase the number of available PCI-Express slots on their motherboards and thus get a better density with more GPUs on their mining rigs are always looking for different options. One of these options is the use of the cheap Chinese PCI-Express x1 to 3x PCIe x1 slots splitter boards that can be found relatively cheap if purchased directly from China. These boards take up one PCI-E slot on your motherboard and provide you with three x1 slots to use, so essentially they are adding up two extra slots for you to try and populate with video cards. Now, you should be aware of the limitations of these boards. 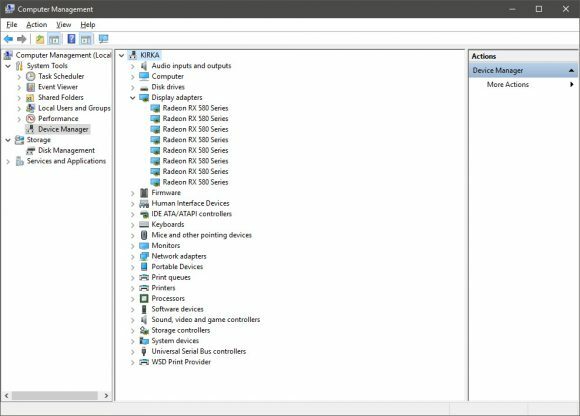 First off they do not seem to work with Nvidia GPUs, only with AMD video cards, so have that in mind depending on the mining rigs you are building. The fact that these boards add two more PCI-E slots physically does not mean that you will be able to fill them with video cards and they will all work. You may need to try multiple slots on your motherboard when plugging the splitter board as not all slots may work properly with it. We’ve seen some motherboards work with no additional cards using such a splitter board, on some only one extra card is working and on others both extra cards will function. It is best to try what works on a particular motherboard first and then decide if you are Ok with the results you are getting. Going for a motherboard with 6 PCI-E slots to be able to install 8 video cards with the help of such PCIe splitter is a nice thing, but then again not all motherboards will work with 8 GPUs this way. Some people are suing such boards to upgrade motherboards with just 4x PCI-E slots to six in order to go for a “standard” 6x GPU mining rig. 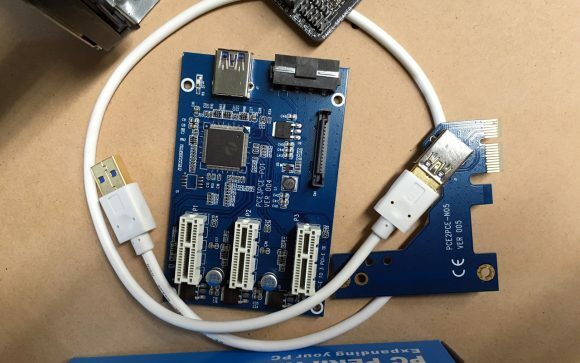 Again, there is no guarantee that the motherboard will work properly with these splitter boards and add extra two PCI-E slots, even if you are able to get the extra slots the motherboard might still have trouble working properly with more than 4 GPUs. In general we are not big fans of solutions like these as they may have varying results, but sometimes a thing like these boards can help you overcome some limitations nevertheless.